The Toronto International Film Festival’s industry office announced on Tuesday the first raft of participants confirmed to attend the seven-day conference. The event is set to run from September 11-17 will feature 200 speakers and will see Amy director Kapadia, comedian and filmmaker Bill Hader and writer Naomi Klein present at the Doc Conference. Voltage Pictures founder Nicolas Chartier and OddLot owner Gigi Pritzker will taker part in on-stage conversations, while Mountains May Depart director Zhangke will deliver a Master Class at the Asian Film Summit. Conference participants include National Association Of Theatre Owners chief John Fithian, Protagonist CEO Mike Goodridge and Claudia Landsberger for BaseWorx For Film. “We’re excited about the participation of these vanguards of the film industry in this year’s programming,” said TIFF Industry Office director Kathleen Drumm. September 17 – Future of Content. Dir/scr. Eleanor Coppola. US, 2016, 92 mins. 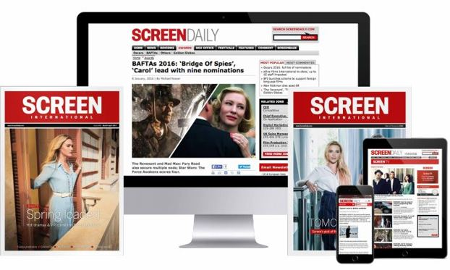 Read Screen International’s daily magazines from the Toronto International Film Festival here. From The Birth Of A Nation to TWC, Screen reveals the key talking points.